Global cloud chief to outline distributor's channel strategy for 2017. 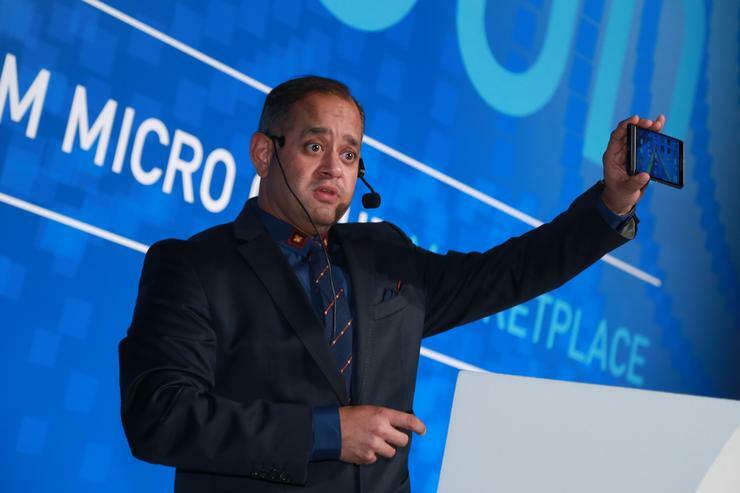 Ingram Micro global cloud leader, Nimesh Dave, will headline Showcase in Auckland this week, as the distributor outlines its cloud strategy for 2017. As part of the worldwide executive team, Dave is responsible for the overall strategic direction, sales growth and business development of the distributor’s global cloud business unit. Dave’s visit comes at a time when Ingram Micro continues to reinvent itself on a local and global scale, evident through the company’s expanding arsenal of cloud services, built on its marketplace platform. In headlining Showcase in Auckland - set for November 30 at Sky City Convention Centre - Dave will delve deep into the distributor’s channel plans for the year ahead, offering a look inside Ingram Micro Cloud. “What’s the magnitude of what we’re doing within the cloud?” asked Dave, when speaking to Reseller News before Microsoft 2016 Worldwide Partner Conference in July. In joining Ingram Micro from fellow distribution giant Tech Data in September 2012, Dave’s attendance represents a major coup for the New Zealand channel. With strong technical knowledge in spearheading the formation of a supply chain services division, Ingram Micro’s transformation falls under the remit of the former Tech Data executive, who is setting a global standard for cloud provisioning in distribution. Drawing on the largest vendor portfolio on the planet, Dave orchestrates a team of more than 1,500 cloud-dedicated employees, including over 700 technical engineers, providing a one-stop shop for all channel cloud-related needs. “We are a software company with software engineers building software, it’s that simple,” he told Reseller News. “Our aim is lift businesses to the cloud through Innovation, Collaboration and Excellence - which spells ICE, something that if you hold in your hand for too long will melt because speed is everything. As an ecosystem of buyers, sellers and solutions that enables partners to research, buy, sell, provision, configure and manage a wide range of cloud solutions from a single pane of glass, the company’s cloud division is accelerating in parallel with market demand. “We’ve built a lot of marketplaces but if you don’t put the right products in there with the right user experience and interface, then it can’t be consumed,” Dave explained. Through leveraging the Odin Service Automation platform - which the distributor acquired in late December 2015 - Dave said Ingram Micro is “no longer one organisation”, as it exposes the channel to its expanding cloud play. “We now sell to telcos, hosters, MSPs, SIs and VARs, building technology solutions for multi-channel Cloud enablement,” he added. In light of Dave’s observations, investment also continues to be made locally to facilitate the distributor’s cloud progression across New Zealand.